Duncan was born in May of 2018 and he’s a ball of energy! He loves to play with other cats and with toys. While at times he loves to snuggle, he’s looking for a family who can keep up with his energy level. 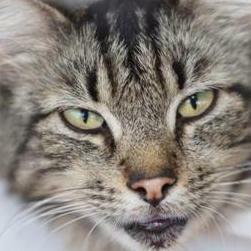 If you are interested in meeting or adopting Duncan, please contact Michelle at 419-276-4910. Follow us on Instagram at PlannedPethoodToledo, and on Facebook at Planned Pethood, Inc.